Every month we will be interviewing students of TKG Academy gurukula. Some of our students started school through TKG Academy preschool or kindergarten. Others moved to Dallas with their families and started in later grades. TKG Academy has students that come from Vaisnava families and others who are just being introduced to Krsna Consciousness through the gurukula. All of these students have one thing in common: parents that were searching for an educational alternative that included a tight knit, loving environment that teaches their children above standard academics from a dedicated staff of teachers that go above and beyond the call of duty as educators. 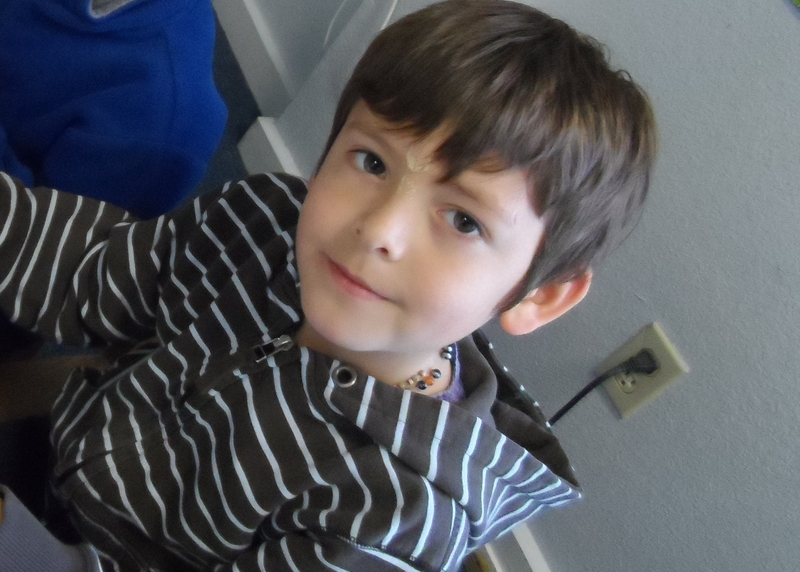 Madhava is a 6 year old Kindergarten student at TKG Academy from Boston, MA. He is a third generation Vaisnava, whose grandparents are disciples of Srila Prabhupada. He is in his 2nd year attending TKG Academy. A: I love pizza with hot sauce! A: I like the story of Me-my (Nimai) and his puppy. Q: What is your favorite school subject? Why? A: Spelling is my favorite. I want to learn how to spell so I can read my brother’s secret notes. hahahaha…. Q: What do you like/love about being a TKG Academy student? A: I like to go to the temple during some school days and dance and sing in the kirtans. YEAH! Student Spotlight- Gaurang How much do You Weigh?? ?